The pedestrian bridge designed by Cecil Balmond in Coimbra, Portugal. The bridge shifts at midpoint, as if the center had snapped. Mr. Balmond with a model of the Battersea project. 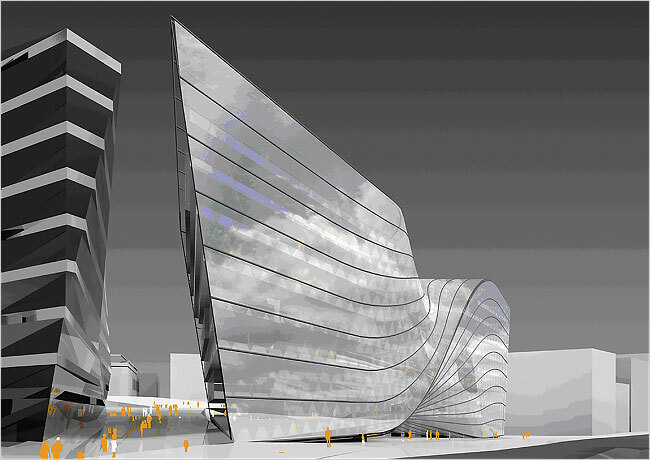 A rendering of the Twist building at Battersea, designed by Cecil Balmond. 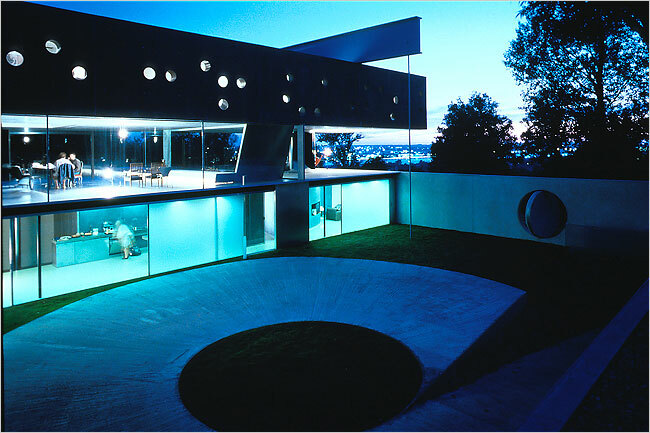 private home near Bordeaux designed by Rem Koolhaas, on which Mr. Balmond worked. Cecil Balmond helped Anish Kapoor create “Marsyas” for the Tate Modern in 2002. Inside the Serpentine Gallery’s pavillion in London, designed by Toyo Ito and Cecil Balmond. 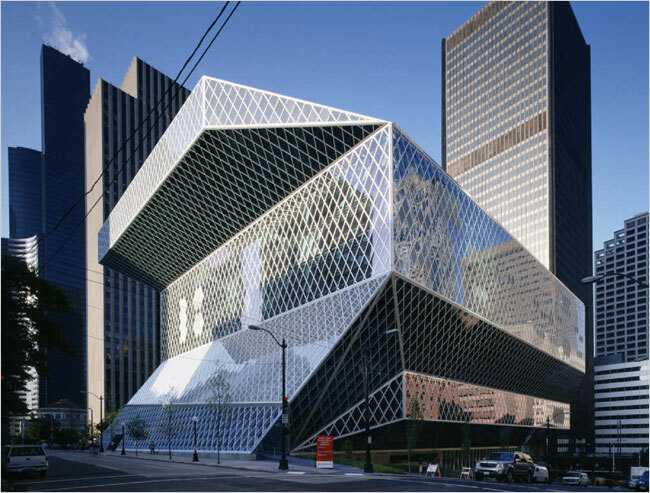 The Seattle Central Library, designed by Rem Koolhaas and Cecil Balmond. 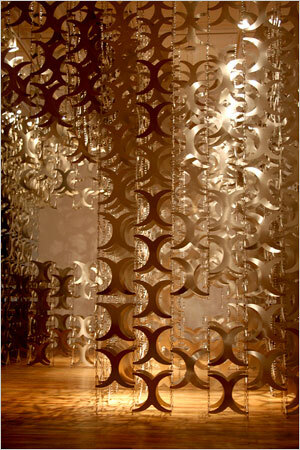 Arup’s Advanced Geometry unit, headed by Cecil Balmond, created “H_edge” for Artists Space in New York. 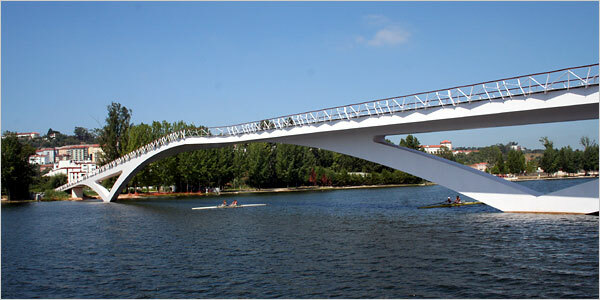 The pedestrian bridge designed by Cecil Balmond in Coimbra, Portugal. 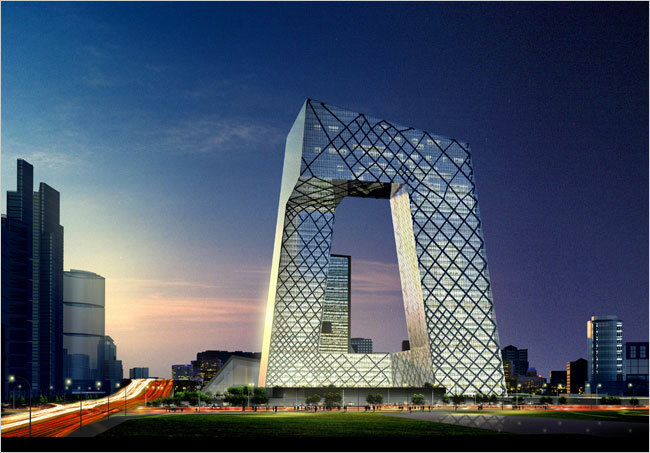 The design for the CCTV Headquarters in Beijing, China. 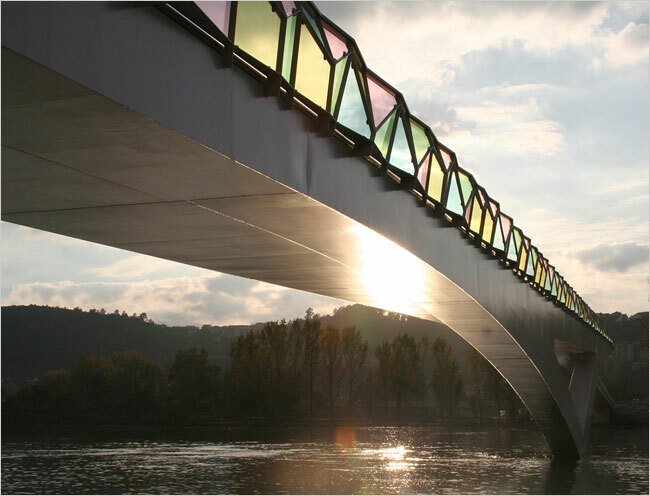 WHEN the ribbon is cut this weekend and Cecil Balmond takes his first tentative steps onto a bridge he has just finished in Coimbra, Portugal, it will represent a crossover into unknown territory. After decades of service to some of the world’s most celebrated architects, this is the first project he can truly claim as his own. The visually confounding footbridge shifts abruptly at midpoint, as if the center had snapped and either side were dangling precipitously over the river. Mr. Balmond, deputy chairman of the British engineering firm Ove Arup, is hardly a late bloomer. He has made structural feats like these possible for a pantheon of architectural luminaries over the last 30 years, from James Stirling and Philip Johnson to Rem Koolhaas, Daniel Libeskind and Alvaro Siza. As architects push the limits of their formal language, Mr. Balmond’s engineering genius has been crucial to the emergence of a new aesthetic of shifting asymmetrical structures that mock conventional notions of stability. Beyond making their projects buildable, his solutions spur such architects to explore forms they might not have considered before. But Mr. Balmond has decided that the mantle of engineer is not enough. 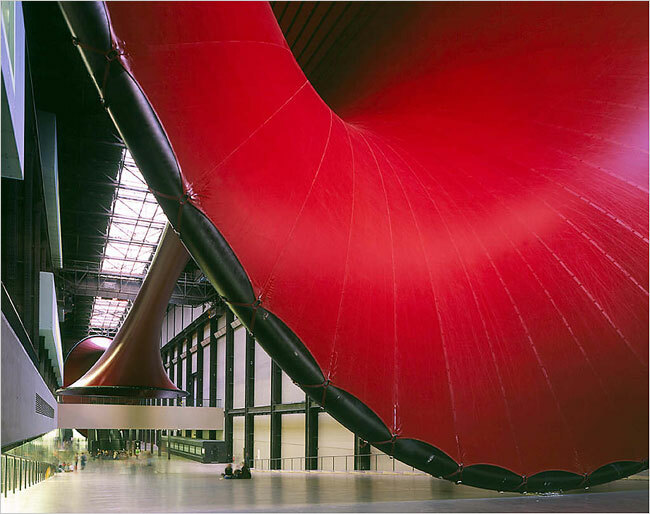 In 2002 he began working with the artist Anish Kapoor on the first of a series of colossal public artworks: a tubular blood-red sculpture installed at the Tate Modern that seemed to defy gravity. He has emerged as a full-fledged author with works like “Informal,” a window onto the playful back and forth between architect and engineer in sketches and diagrams. And at Arup he has organized an “advanced geometry unit,” a tight-knit group of engineers and mathematicians who have ventured onto turf normally reserved for architects, from houses to office buildings to master plans. His shift to architectural work has raised an eyebrow or two in the profession. Some fear it will distract him from his primary engineering work. Some dismiss it as an ego thing. But Mr. Balmond’s career raises a broader question about the nature of collaboration. If a skilled engineer can boldly enrich the work of even the most talented architect, what is lost when the architect is tossed aside? Born in Sri Lanka in 1943, he was reared in places that were both rich in cultural influences and in a constant state of political turmoil. His early memories include walking to school along lush mountain roads in the Sri Lankan village of Kandy, where his father was president of the country’s only university. With the outbreak of a civil war, his family left for Nigeria, where in his early 20s he was introduced to the writer Wole Soyinka and musicians like the political activist Fela Anikulapo Kuti. In settling on engineering, he saw it as a conventional career choice that played to his talent in mathematics. Yet when he arrived at Arup in 1968, the firm was in the throes of what is still considered one of the most audacious challenges of the late Modernist era: the construction of the Sydney Opera House. Designed by an inexperienced young Danish architect, Jorn Utzon, the opera house’s sail-like roof forms had proved unbuildable. Arup was brought on to rescue the project. Its solution was ingeniously simple: rather than try to meld an elaborate composition of dissimilar forms, all of the shells would be designed with exactly the same curvature, as if they had been cut out of a single orange. They could be efficiently manufactured; but more important, those concrete plates also gave the design a formal clarity it had lacked. Completed in 1973 in Sydney Harbor, it was hailed as a masterpiece that signaled new possibilities for architects across the globe. For Mr. Balmond it was an epiphany. Beyond crunching numbers, he realized, engineering could mean rethinking an architect’s design. In 1977 he worked with the architect James Stirling on the stone-clad Staatsgalerie in Stuttgart, Germany, now considered a masterpiece of postmodernism. But the breakthrough was his partnership with the Dutch architect Rem Koolhaas, who enlisted him to work on a competition for a modest bank building in Amsterdam. (They lost.) Soon afterward Mr. Koolhaas embarked on the ZKM Center for Art and Media Technology, in Karlsruhe, Germany, with the idea of carving out immense sloping voids within a rigid block. The multistory voids, which include a lecture hall, library, museum of contemporary art, media theater and video labs, would function as a “Darwinian arena” where classical and electronic media would be in a constant delirious competition. Pondering how to carve out such vast spaces without causing the building’s collapse, Mr. Balmond opted to create a stack of interior Vierendeel trusses whose ribs form triangulated units. For Mr. Balmond and Mr. Koolhaas, such solutions are part of a running argument that architecture has been confined too long within the Cartesian logic of compartmentalized space. Yet while other architects experiment with radical forms, these two root their work in a more fundamental rebellion related to engineering itself. They want to defy the regimented order of the industrial world, shake it up, embrace the fundamental discontinuities of everyday life. They explored that notion further in Mr. Koolhaas’s 1997 house near Bordeaux for Jean-François Lemoine, a French newspaper executive confined to a wheelchair after a car accident. The house, pierced by an enormous platform elevator the size of a full room, consists of three levels: a massive slablike level at the top; a vast glass-enclosed living area in the middle over which the slab seems to levitate; and a concrete plinth that forms the house’s private core, with a kitchen and wine cellar. Offsetting its symmetry, a deep steel beam spans the flat rooftop as if to keep the slab from tipping over. A collaboration with Daniel Libeskind on a spiraling addition to the Victoria and Albert Museum in London led Mr. Balmond to explore a new thread in his work: a layer of ornamental surface patterns that in themselves spoke to a building’s structural logic. With its elaborate textured tiles, the 1996 addition seems to shimmer and defy gravity, even though it is wedged between two stolid 19th-century structures. Going a step further, Mr. Balmond and the Japanese architect Toyo Ito played with a pattern of overlapping squares across a delicate lacelike skin for the Serpentine Gallery Pavilion in London (2002). It was not only decorative but also supported the entire structure. And in Mr. Balmond’s first solo show, a project in Artists Space in SoHo last month, he deployed a series of interlocking C-shaped metal panels to create a labyrinth of small rooms. Evoking an Indian rope trick, an elaborate steel chain seems to stand with no visible support. But it is Mr. Balmond’s mainstream architecture commissions that preoccupy some of his peers. Just as architects rely on engineers for structural experience, engineers rely on architects for their own area of expertise: an instinctive sense of how material and space convey hierarchies, for example, or of how a building speaks to its surroundings. Such skills may be intuitive, but they are skills nonetheless. It’s what gives architecture its poetic quality, and it cannot be learned overnight. Mr. Balmond prefers to see this latest career turn as part of a consistent trajectory rather than a blind leap into the unknown. He has reassured his architect friends that he is not in direct competition with them; nor is he turning away from his responsibilities at Arup, he says. The Coimbra project, the symbolic bridge to his solo practice of architecture, could well be viewed as an essentially structural project. Mr. Balmond began with a simple idea: to create a sense of instability that intensifies as a pedestrian reaches the midpoint. The bridge is actually conceived as two independent structures cantilevered from each side of the river. A concrete beam runs along one edge of each half and tapers as it reaches the midpoint, so that the center suddenly kinks. The sudden shift is as much about engineering bravura as a physical experience. The weakness lies in the bridge’s decorative flourishes: its jagged side rails, clad in blue, pink and green colored glass, feel slightly overwrought and compete with the sleekness of the supports and spans. Far more audacious is Mr. Balmond’s master plan for an office, hotel and retail development on a 36-acre site on the south bank of the Thames in London. Given the project’s whopping $3.8 billion budget, Mr. Balmond may seem an eccentric — not to say highly risky — choice as its main planner. The problem is that the master plan never completely coheres. The site, anchored by the towering form of the abandoned Battersea power station, which is being converted into a shopping mall, is organized as a series of buildings that frame a series of internal plazas. Mr. Balmond describes those plazas as a series of shifting planes that slope up toward the Thames, culminating in a formal garden overlooking the city to the north. But the plazas, which range from small enclaves to vast public squares, feel shapeless and oddly disjointed, like leftover space. A similar problem afflicts a building he has designed in the form of a twisted rectangular box at the site’s southern edge. Its meshlike skin echoes projects in which the exterior surface is both decorative and structural. By twisting the form, he creates a gentle arch beneath the building that offers a natural entry point, intended for a design center, showroom and offices. A series of ramps swirl up through the interior. Yet the building’s exterior form is less an expression of its interior function than a sculptural study conceived on a massive scale. Mr. Balmond is obviously grappling with some fundamental architectural lessons, from the complex relationships between interior and exterior forms to those between ornament and structure. A younger, lesser-known talent would be able to work through these struggles in relative privacy and at a more manageable scale. Mr. Balmond does not have that luxury. Already a titan in the engineering profession, he is finally poised to get the public attention he feels he deserves. The paradox is that he may feel less free to make the kind of mistakes that are intrinsic to creative growth. For now, Mr. Koolhaas suggests, Mr. Balmond should be glad that his fame is so far limited to professional circles. “The role of the architect is so exaggerated today it drives people crazy,” he said. Cecil Balmond is an internationally renowned designer, structural engineer, author and Deputy Chairman of the international, multi-disciplinary engineering firm Arup. 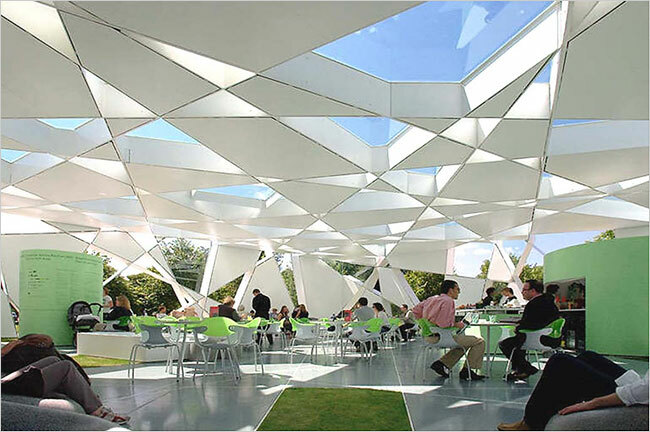 One of his most recent projects is the 2006 Serpentine Gallery Pavilion, designed with Rem Koolhaas. He has held several distinguished visiting professorships at leading universities in the United States and Britain: Saarinen Professor at Yale University, Kenzo Tange Visiting Critic at Harvard’s School of Design, visiting professor at the London School of Economics, and most recently the Graham Professor at the University of Pennsylvania. 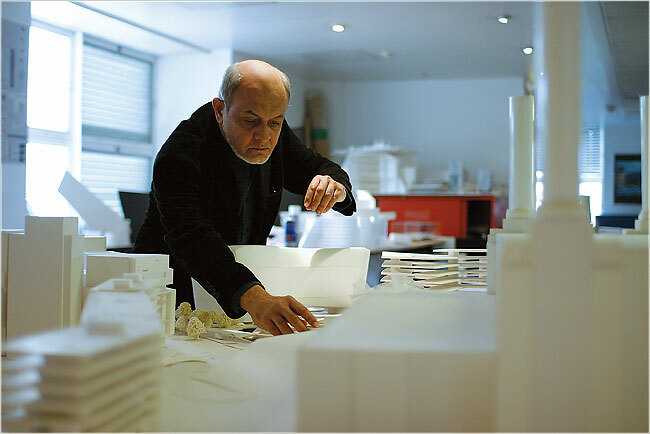 He received the Gengo Matsui Prize in 2002, which is the highest recognition for structural engineering given in Japan, and the Charles Jencks Award for Theory in Practice of the Royal Institute of British Architects in 2003. This spring he gave the Felix Candela lectures at the Museum of Modern Art and had an exhibition of his work at the arc en rêve centre d’architecture in Bordeaux, France. He is the author of Informal (Prestel, 2002), Number Nine (Prestel, 1998) and co-authored Serpentine Gallery Pavilion 2002 with Toyo Ito (Telescoweb.com, Japan), and Unfolding with Daniel Liebeskind (NAI, 1997). Through his provocative designs in collaboration with leading architects and artists and eloquent writings, including Informal (2002) and Number Nine: The Search for the Sigma Code (1998) Balmond has put forward a dynamic and organizational approach to structure that is informed by the sciences of complexity, non-linear organization and emergence. Recognizing that the universe is a constantly changing array of patterns (both random and regular), he also draws on ancient wisdom and non-western mathematical archetypes. Taking structure to be as much a verb as a noun—as structuring, organizing and patterning—Balmond redefines the relationship between structural engineering and architecture beyond the ethos of rationalism, efficiency and optimization, which has characterized not only high-tech design but modern architecture in general. His experimental, constructive and algorithmic methods open a rich territory for design at different scales and in different media and regimes of matter, extending the horizons of both reason and beauty. To test their capabilities he is currently designing an urban master plan for a redevelopment site in London, while at the same time experimenting with rhythmic lighting effects and the generation of music.